This fun Han Solo sticker book contains more than 1000 colorful stickers, and is full of Star Wars™ facts from the new movie, Solo: A Star Wars Story™. Kids will love joining young Han aboard the Millennium Falcon for many thrilling adventures. 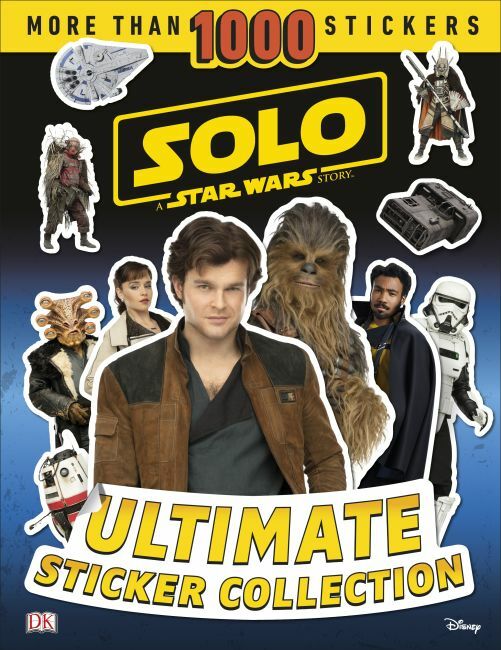 Solo: A Star Wars Story Ultimate Sticker Collection is illustrated with action-packed images from the movie, accompanied by fun, easy-to-read reference text. Join the heroes and villains as they plan missions, explore new planets, perform daring escapes, and pilot superfast starships.